Catch up on these essential iPhone and iPad gems. It has been another great year for iOS games, as 2017 delivered a heap of must-play iPhone and iPad picks. 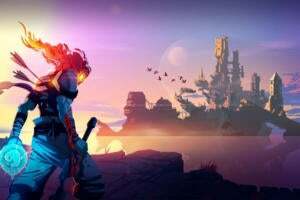 Some were designed first for touch while others were elegantly ported from other platforms, but at the end of the day, these are the 20 games that impressed us the most and kept us coming back for more this year. In the slides ahead, you’ll find distinctive puzzle games, breezy arcade-style distractions, and some absorbing adventures, not to mention loads of creative ideas brought to life on your touch devices. Not only is now the time to think back on the year’s best games, but if you have a little time away from work or other obligations, it’s an ideal opportunity to grab a few of these and dig in. Enjoy! The original Monument Valley quickly established itself as one of the all-time essential iOS games, delivering an original puzzle-solving experience that felt perfectly tailored for a portable touch device. This year’s Monument Valley 2 ($5) didn’t reinvent the wheel, but it brought enough tweaks and expansion to completely avoid feeling like an uninspired sequel. 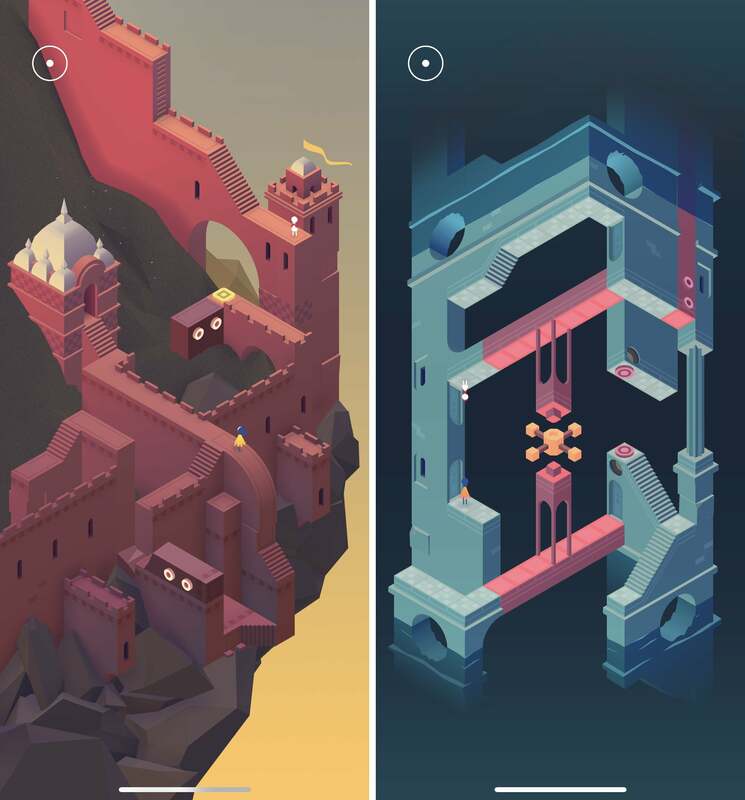 As before, Monument Valley 2 is all about solving environmental puzzles in an array of baffling and beautiful levels that don’t conform to realistic physics or architectural tenets. Now, however, you’ll guide both Ro and her child, with puzzles and obstacles that involve both at the same time. It’s more of the same, but more brilliance is never a bad thing. Riverman Media set themselves up for a real marketing challenge with MUL.MASH.TAB.BA.GAL.GAL ($5), a title that tells you roughly nothing about the experience within and probably scared off more than a few curious parties. 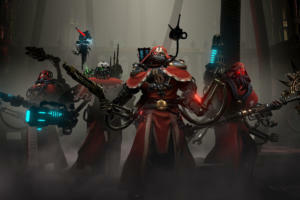 But as we discovered earlier this year, the game behind that intimidating title is actually quite excellent. It’s a twist on Atari’s legendary Pong at its core, only you’re controlling the paddles on both ends of the screen—and you’ll bat a ball around to destroy the sea monsters that swim in between. 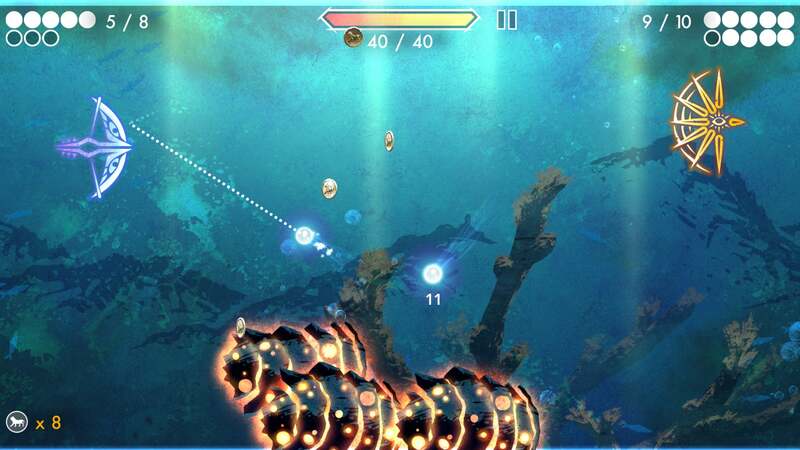 You’ll have to defeat them before they reach the top, and the challenge quickly builds as you access new levels. Over time, MUL.MASH awards new types of paddles with special abilities, letting you mix and match to create the most effective combo. It’s tough, but totally rewarding. Last year’s iOS game sensation was Pokémon Go, but this year’s is massive in a very different way: it’s a live trivia game show with a real-time host and hundreds of thousands of concurrent players. 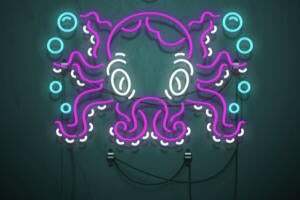 It’s HQ (Free) of course, which has been blowing up in recent weeks as new players flock to the daily competition in the hopes of winning potentially thousands of dollars in real cash. 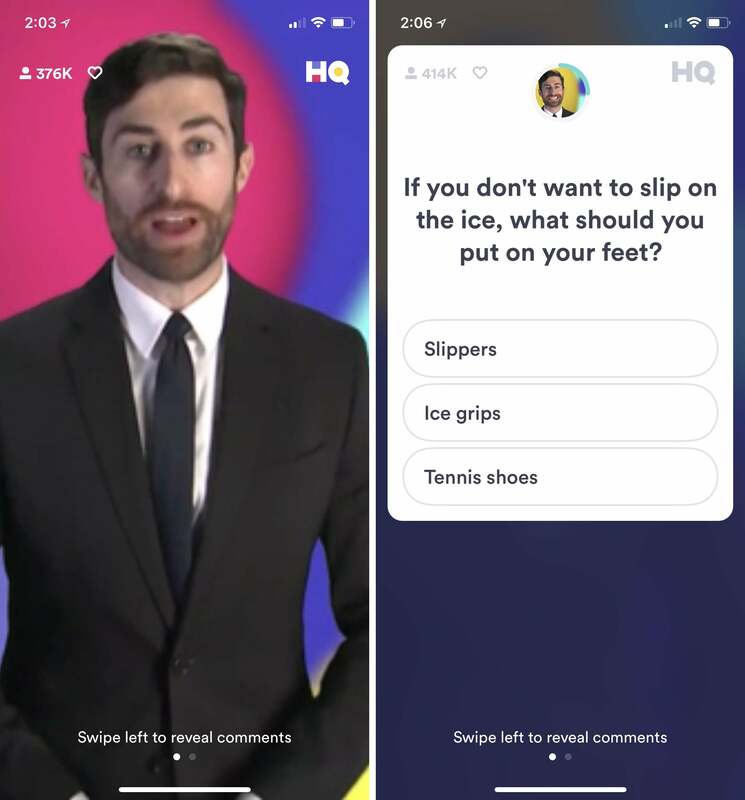 Happening every single night and also on weekday afternoons, HQ serves up a dozen rapid-fire questions to answer, with correct guessers moving on to the next query. Those who survive the gauntlet ‘til the end split the jackpot, which has been as high as $10,000 as of this writing. We’ll see how long the buzz lasts, but right now, HQ is the most exciting thing in iOS gaming. 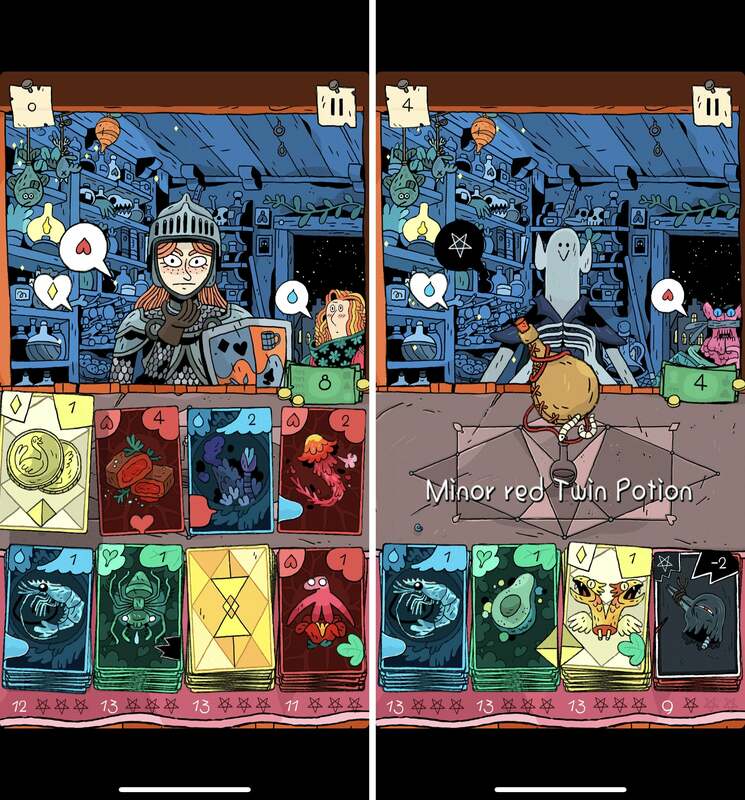 We’ve seen a lot of card-based games in the Clash Royale mold this year, but Miracle Merchant ($2) is something else—it’s a single-player game like solitaire, but it doesn’t look or play anything like that card classic. Here, you’re a skilled alchemist with a line out the door of customers, and they’d all like a custom potion to suit their individual wants and needs. Using their preferences as a starting point, you’ll pick four ingredient cards to create each potion, with the physical alignment of the cards affecting the ultimate composition. You’ll have to carefully construct each new potion using your limited resources to satisfy customers and continue your game. It’s a really clever twist on solo card games, and rather beautiful as well. Now here’s a fascinating puzzler unlike anything you’ve played before. Just released this month, Gorogoa ($5) finds a boy set off to discover a curious monster he spies from afar, and you’ll further his quest by manipulating a series of small illustrations on the screen. You’ll have up to four at any point, and each acts like its own little scene—and may inform the others too. At times, you’ll interact with one panel to put the boy or an object in a certain location, and then overlay another panel on top to transport something from one image to another. It may take you a bit to come to grips with how to interact with the tiles, and how they interact with each other, but in time the looping endeavor and beautiful artwork prove irresistible. If you grew up searching for the stripe-adorned star of the Where’s Waldo? books, then you’ll know exactly what to do in Hidden Folks ($4): it’s a game about finding small, specific people, creatures, or things inside of sprawling scenes. Only here, the images are not only purely black and white, also animated. That gives the doodle-like drawings a lot more personality than you’d see from a static image, with charming animations, amusing sound effects, and interactive mini-puzzles that require a bit more effort than just tapping on an object. 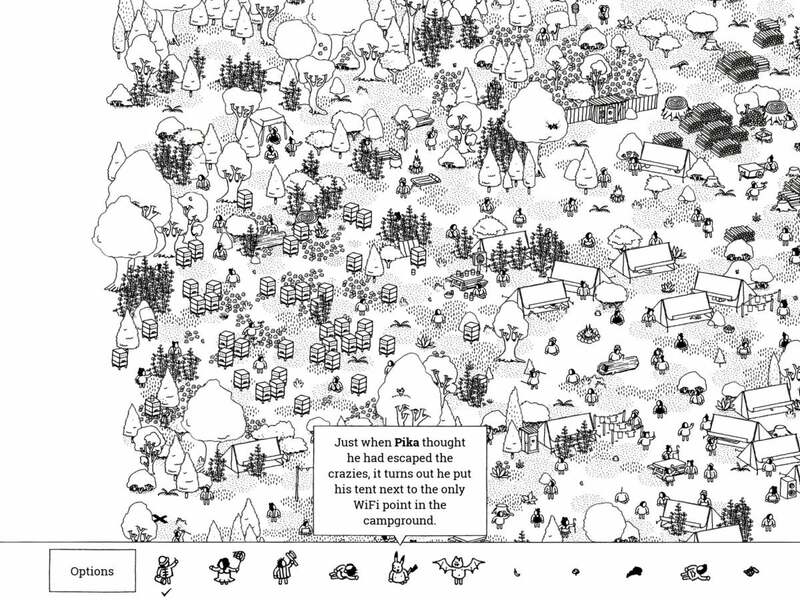 And yet the biggest highlight of Hidden Folks is just how incredibly chill the entire experience is: you can play at your own pace, and it’ll never prod you in the process. It’s a real delight, especially on the larger screen of an iPad. Mushroom 11 ($5) didn’t begin life on iOS, but the developers say it was originally built for touch devices—and that becomes readily apparent the moment you start touching the blob. The green, amorphous organism can only be controlled by poking and prodding it in a direction, which you’ll do with one or more fingers to try and work through an array of environmental challenges. 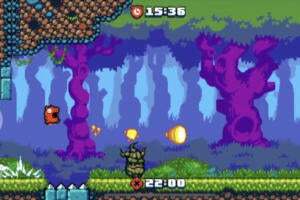 You’ll reshape and push the organism left and right in the side-scrolling, post-apocalyptic stages, through tunnels, safely over dangling cliffs, and through clumsy machines. 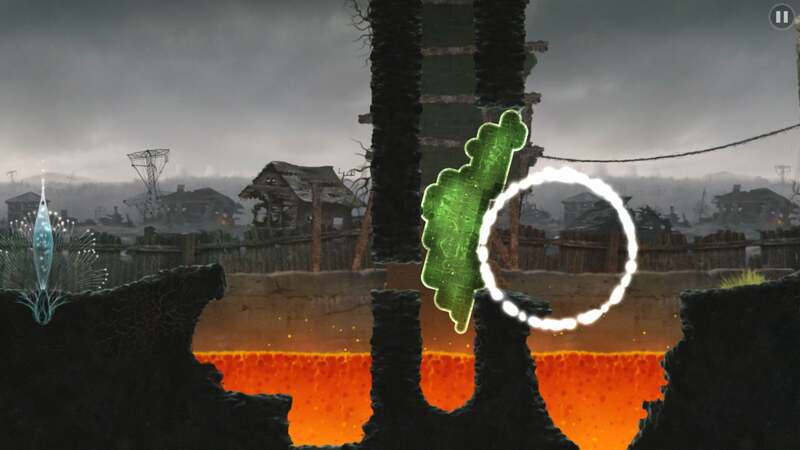 Mushroom 11 has a real trial-and-error edge to it, as you’ll need to experiment with inputs and tactics to make the blob do what you want it to. And the ultimate a-ha moments are usually pretty special. 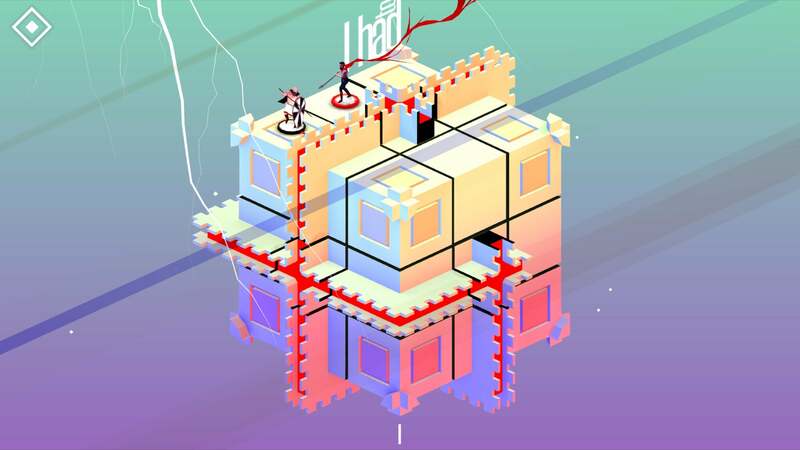 Part Monument Valley, part Lara Croft Go, and part Rubik’s Cube, Euclidean Lands ($4) wears a few influences on its sleeve yet ultimately still feels like an original and inspired creation. Each level takes of the shape of a cube with warriors and items on certain panels, and you can rotate entire rows and columns to shift things around and try to get the jump on enemies. It begins simply enough, but then further twists keep things compelling: you’ll find giant spikes in spots you’ve already traversed, dangerous floor panels and nearby switches to trigger, and even multiple cubes with differently-colored portals between them. Like Kunabi Brother’s also-great Blek, this iOS puzzler makes a memorable impact. 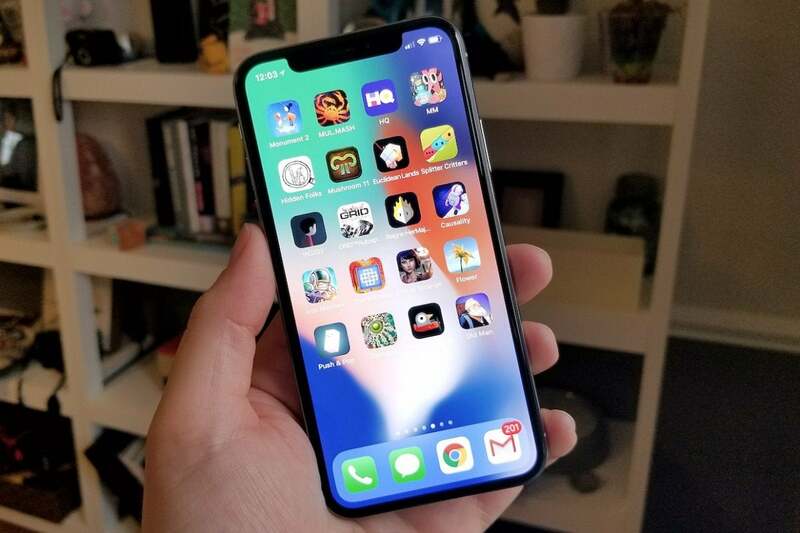 Pigeon Wings ($2) doesn’t make heavy use of your iPhone or iPad’s touch display, but it still feels perfectly suited to a phone or tablet. It’s part high-speed racing game, part side-scrolling shooter, and all pretty darn appealing as you take flight as a bird attempting to stop the evil plans of a nefarious aeronautics mogul (yes, really). What work so well here are the tilt controls: you’ll race against other bird through tight corridors, needing to swoop up and down to fit into tunnels and around hazards, and the precise controls are perfectly suited for the task. Many of the games on this list are meatier fare, but Pigeon Wings totally nails its bite-sized, arcade-style approach. Splitter Critters ($3) is Apple’s choice for 2017’s iPhone game of the year, and it just so happens to be one of our big favorites as well. 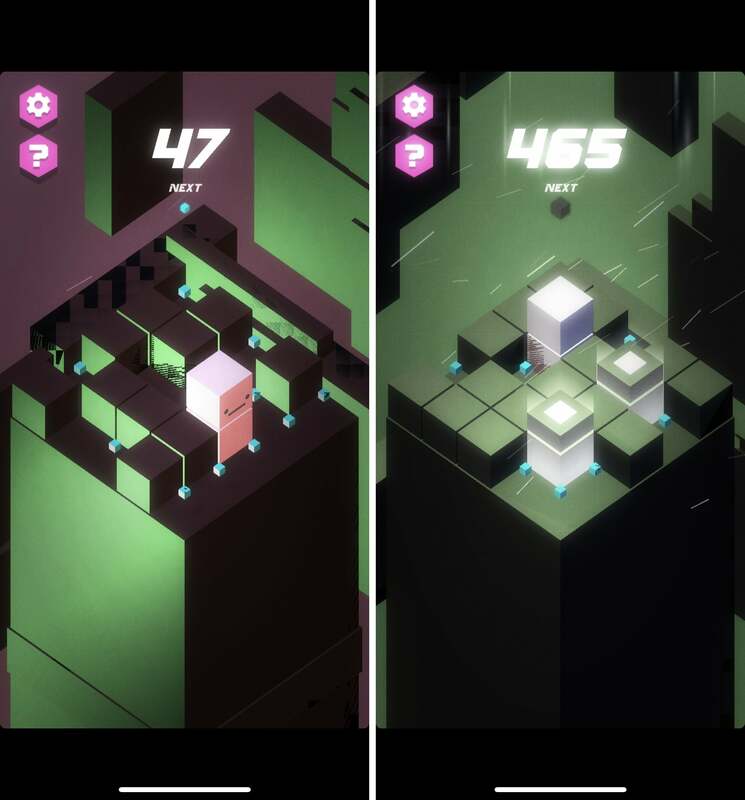 RAC7 Games’ original creation is perfectly suited for smartphones and tablets, as it reimagines the platform-puzzle genre by letting you solve stages in a totally unique way: by slicing the world in half and rearranging its pieces. It’s a wild idea, but it’s also one that works beautifully here. You can put a big gash in a level to create a path for the little aliens to reach their ship, for example, or to avoid enemies. Later on, you’ll create multiple tears to help point lasers in the right directions to work your way through a lab, or deal with an abundance or water. It’s incredibly clever, and quite fun too! It might sound like a totally killer dance move, but Push & Pop (Free) is actually an iOS puzzle game… and it’s still pretty awesome. Your little cube guy is dropped into a 5x5 grid with a few blocks, and you’ll slide across rows and columns to push together complete lines of blocks and clear them, Tetris-style. But the more you slide around, the more blocks are gradually added to the confined space, making it feel awfully tight in there—and absolutely critical that you keep clearing lines. This endless freebie is simple in approach but infinitely replayable, plus it’s packed with style thanks to fabulous background music and a glitchy, color-shifting aesthetic. Like Playdead’s Limbo before it, Inside ($7) is a harrowing experience. 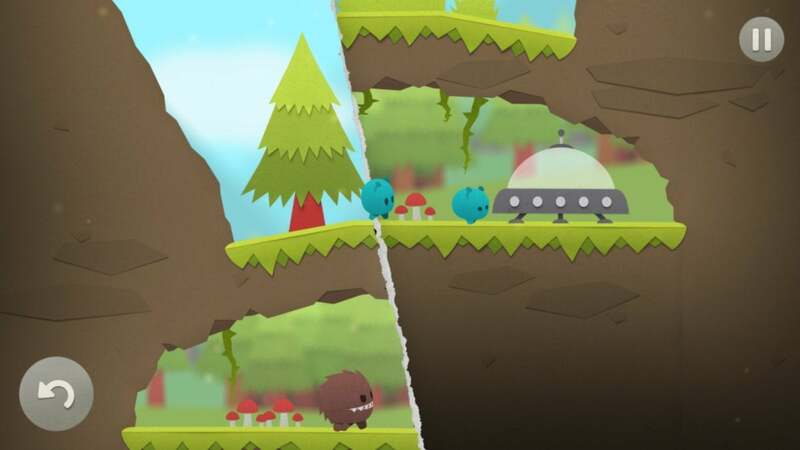 They’re very similar games on the surface: you control a small boy in a side-scrolling world without dialogue, as you solve your way out of environmental conundrums by pushing, pulling, and climbing on things. Inside not only delivers even more visual impact, but it's also a fair bit more disturbing along the way. See, the boy is being hunted as he stumbles through a factory—one that houses all kinds of unnerving experiments. You’ll have to play along with some of them as you search deeper and deeper for the truth, but you’re likely to suffer at least a few violent deaths along the way. Inside is tense, packed with atmosphere, and immensely absorbing even on a compact iPhone screen. We loved last year’s original Reigns and named it one of our favorite iOS picks from last year, so it’s not that much of a surprise that follow-up Reigns: Her Majesty ($3) made this year’s list. 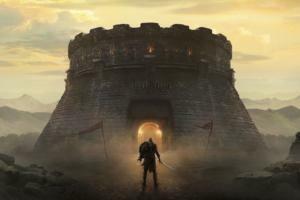 By and large, it follows the same format: you’re a newly-installed ruler of a kingdom, and you’ll need to swipe your way through key decisions to try and maintain the throne for as long as possible. While Her Majesty plays much the same way as the last game, the impact of being the queen is much different. 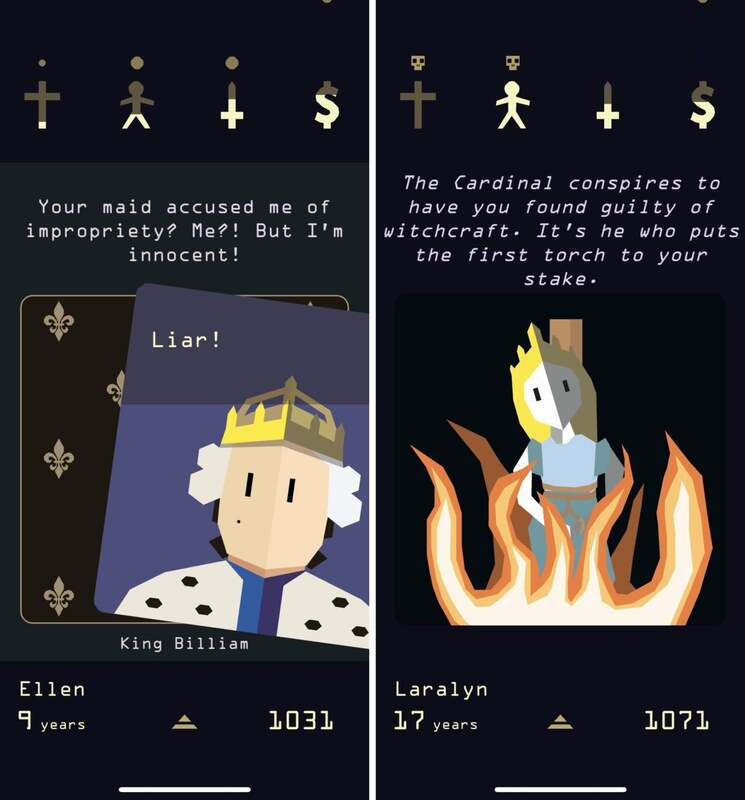 There’s clear commentary on sexism woven into the experience, as you’re judged and oppressed in ways that you would not have been as the king, and that gives this Reigns extra bite over the first game. It’s still just as sharp otherwise. After captivating puzzle and adventure fans on PC and PlayStation 4 last year, The Witness ($10) spread onto Apple devices this year—and it’s a treat on both Mac and iOS alike. The iOS version is cheaper but no less fully-featured, as it contains the entire, absorbing experience including more than 500 total puzzles. 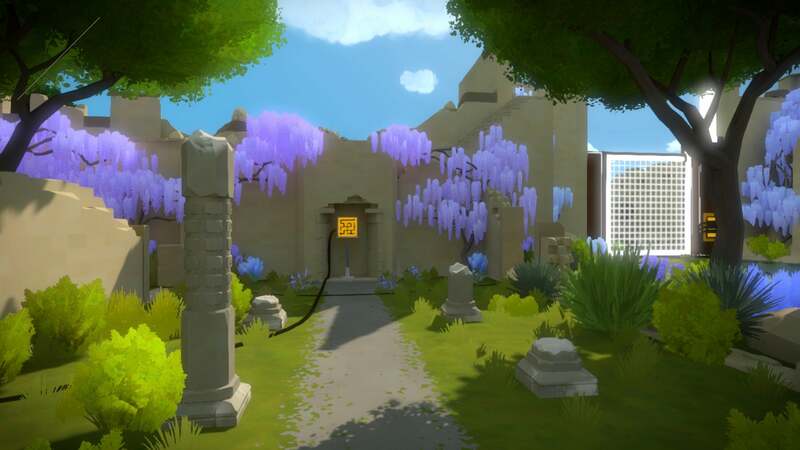 The Witness finds you alone on a curious, gorgeous island dotted with those puzzles, and you’ll have to solve them to discover who you are and why you’re there. The maze-like line puzzles are approachable enough at first, but become significantly more complex over time. It’s Apple’s pick for the best iPad game of 2017, and a large screen is ideal—but don’t shrug it off if you prefer to play on iPhone. It’s just as dazzling there. The two best racing games on the App Store—Real Racing 3 and Asphalt 8: Airborne—are both free-to-play games with some thankfully small freemium annoyances in the mix. But if you’re looking for a full-bodied racing game that doesn’t have timers, premium power-ups, or any other odd shenanigans in the mix, then turn your attention to GRID Autosport ($10). Coming over from PC and consoles, GRID Autosport is a big, beautiful, simulation-style experience that packs in 100 cars and 100 circuits along with realistic physics and some of the best graphics ever seen on an iOS device. Ten bucks might seem like a lot, but for a deep, awesome racing experience with no in-app purchases in sight, it’s well worth it. Life typically does feel awfully strange when you're a teenager, and that’s especially true when you suddenly find that you have the ability to rewind time. That’s the plight (or opportunity) of young Max Caulfield in the episodic Life is Strange ($3), which just hit iOS after amassing a legion of devoted fans across Mac, PC, and consoles. The five-episode season follows Max as she discovers her powers and attempts to use them to help friends and fellow students, but there may be consequences to this newfound ability. Life is Strange has been widely praised for its emotional storytelling and for tackling taboo subjects, and the point-and-click style works well on touch devices. The first episode is included, with the next two sold within (episodes 4-5 will release later). Like a lot of puzzle games, Casuality ($2) begins simply enough before ratcheting up its complexity and challenge level—but Causality otherwise isn’t like a lot of other puzzle games. We called it a turn-based puzzler “with a twist” over the summer, and more specifically, it’s a turn-based puzzler with time manipulation at its core. Can you master the space-time continuum? You’ll have to if you want to overcome Causality’s 60 levels. Finishing each means guiding the little astronauts along paths to their rightful destinations, but that typically entails twisting the fabric of time, using portals, and ensuring that everything happens in its correct sequence. This one’s a real brain-bender. Ironhide created a near-perfect mobile tower defense experience with the Kingdom Rush trilogy, and now Iron Marines ($5) sees the studio keep a lot of that groundwork and shift over towards real-time strategy. In other words, Iron Marines is the StarCraft-like experience we rarely see on touch devices, with a meaty campaign and more depth than you’d expect. Here you’ll command a group of super-powered space soldiers as you plow through alien attackers, establish bases, and hold down the fort against waves and waves of foes. It still feels a lot like Kingdom Rush and certainly looks the part with its familiar cartoonish look, but with 14 campaign missions, bonus levels, and plenty more in tow, Iron Marines is an on-the-go RTS done right. Old Man’s Journey ($5) is a lot less exhausting than the title might suggest—in fact, it’s downright charming, even if the subject matter isn’t always upbeat. This breezy point-and-click-style adventure game begins with the man receiving a letter that clearly didn't bring happy news, but after taking a beat, he grabs his gear and begins trekking towards places unknown. And this game is about the journey as much as the destination, as you help guide the man across gorgeous terrain by manipulating the rolling fields and natural features with your fingers. Along the way, you’ll catch glimpses of his past: the good times, the bad, and what has ultimately sent him on this quest. Old Man’s Journey might be light on gameplay, but it gets pretty heavy emotionally. Now here’s an unexpected video game protagonist: the wind. You’ll deliver useful gusts in Flower ($3), a much-loved indie game that recently made its way over from PlayStation consoles. As the wind, you’ll sweep up flower petals and blow them around the levels to make others bloom, thus rejuvenating dead fields or reactivating windmills. That might sound a bit silly, but as on consoles, Flower is an absolute gem. It’s a gorgeous and soothing experience, as you use tilt controls to guide the flower petals around with ease, plus there’s a surprisingly emotional narrative that builds over the course of the six levels—although the game only shows its hints of story through subtle audio/visual cues.